Seems some people are grumpy about having to pay for DLC content that's tecnhically already on the game disk they have paid for and Gears of War's Horde Pack is the lastest example to stir up the masses. 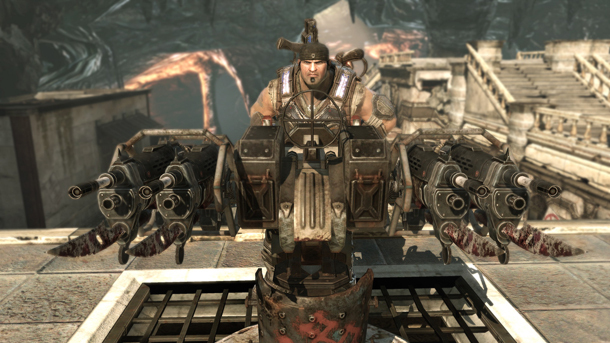 Kotaku has some words on the subject from Gears producer Rod Fergusson. He stated the move was "in an attempt to unify a game’s online community, game developers want all players to have access to new DLC content whether they pay for it or not. This makes DLC a trick proposition. The solution is that many developers provide new DLC to all players, but only allow those who paid for it to use the DLC weapon skins or host a new DLC map." "One of the concerns was we would have to have people download compatibility packs,” explains Fergusson. However, since Gears of War was delayed from its original released date, earlier this Spring, Epic felt it had the option to include it’s first DLC pack on the disc, so that everyone wouldn’t have to download the new content. "We felt it was a win/win, because no one is going to have to download anything huge when the DLC comes out." Indeed the decision to included the DLC makes some real sense when one realises the DLC will be visible in game to other players who haven't paid for it - we're talking weaponry here - persons who bought the pack get to use differing versions of guns - so everyone needs to see THAT - the DLC got put all on the game disks. Paying for extras is the way of the world. You want extra sauce on your chips, you gotta pay for it. You want that suit tailored? You gotta pay for it. You want a new Halo map? You gotta pay for it. You wanna play the General Raam DLC? You gotta pay for it - it doesn't matter in this case that the Gears creators have put a bunch of code on a disk - that simply makes things easier so your game bloody works better. So quit your bitching soldier - if you want DLC for your games, you gotta pay for it - don't matter the actual monetary exchange is simply a 'key'. People who make games make games not only because they like making games it's because they like making money. That's the bottom line. And hey, if you don't want to pay for DLC - you don't have to!